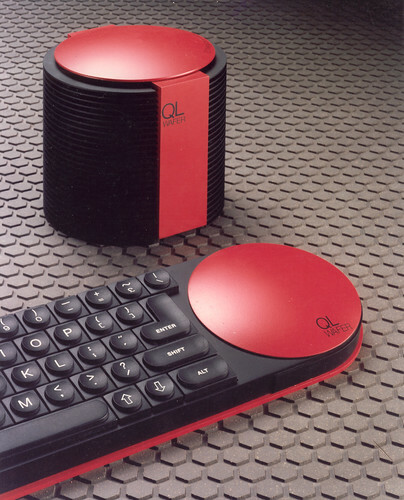 The Acorn Atom was a computer produced by Acorn Computers Limited between 1980 and 1982. It was based on the 6502 processor, and was a development from earlier machines (System 1 - System 3) aimed mainly at industry. The Acorn Atom computer was in fact a cut down version of the Acorn System 3 computer, without a disk drive but with an integral keyboard and cassette tape interface, sold in either kit or complete form. The Acorn Atom had a minimum of 2K of RAM and 8K of ROM, expandable up to 12K each. An additional floating point ROM was also available. 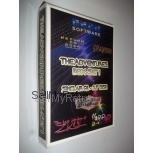 The 12K RAM was divided between 5K available for programs, 1K for page zero and 6K for the high resolution graphics. The page zero memory (a.k.a. zero page memory) was used by the CPU for stack storage, by the OS, and by the Atom BASIC for variable storage of the 27 variables. If high resolution graphics were not required then 5 1/2 K of the upper memory could be used for program storage. Basic video memory was 1K but could be expanded to 6K, with an optional PAL colour card. Six video modes were available, with resolutions from 64×64 pixels in 4 colours, up to 256×192 in monochrome. Unusually, the Atom BASIC included a built in assembler, meaning that you could include assembly language directly within your BASIC programs. As the Acorn Atom began to be superceded by the more popular BBC-Micro, users could upgrade the ROM to a version which supported the BBC BASIC, although this did not allow Atom users to run commercial BBC Micro software, since nearly all of it took advantage of the BBC machine's advanced graphics and sound hardware.